On Wednesday, Alex and I headed to Wisconsin to visit our grandsons Michael and Andrew (and their parents!) 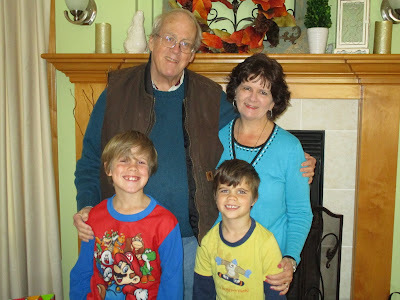 for a few days and help celebrate Michael's eighth birthday. We got back to Atlanta last night and had a great time on our trip as always, and this year's visit was particularly memorable because of what the boys' Saturday morning soccer games looked like. They looked like this! I did not pack a winter coat and knew better than to join them, so I was content to get on-the-scene photos from their mom and stay at home where it was warm. Not too long after the boys' soccer snow, it began snowing at the house, although it didn't stick. Still, I'm pretty sure this is the only time in my 54 years that I've ever seen snow in October! 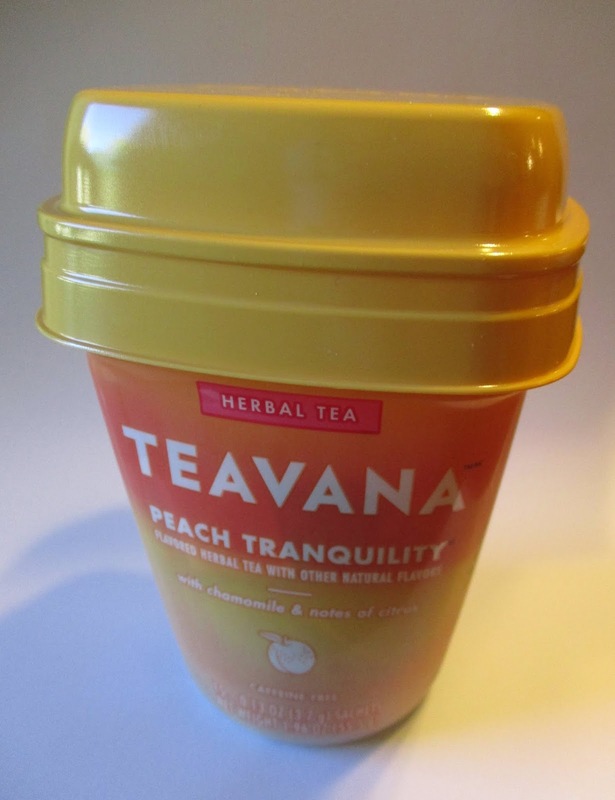 Staying warm on this trip was easy since I had taken along a few tea samples from friends, and I also picked up this new Teavana Peach Tranquility herbal tea I found at a Walmart in Wisconsin. I must admit that the cup-style packaging (with a foil inner seal) caught my attention when I saw this tea advertised somewhere recently. The tea sachets had a pleasant if delicate peach taste, and what I liked best about the tea was its citrusy notes. 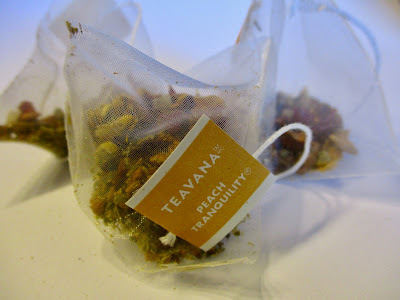 Have you tried any of these new Teavana teas? If so, I'd love to hear about them—whether you live in the snowy Midwest, the sunny South, or somewhere else! Wow, snow! I love snow. We don't usually get any here in DC until January, but we HAVE had it occasionally in October. I'm glad you had a nice trip to Wisconsin, even though you didn't have a winter coat. I haven't seen any of those new Teavana teas, but I will be on the look-out for them. Glad you had a nice trip. I’ve seen the new Teavana teas but haven’t purchased yet. Good to hear that you enjoyed the peach. Wow! Snow in October. Looks like a good trip all around.